When deciding to install solar energy in your home or business there are different options to consider first. The first choice you will need to make is if you will be utilizing Grid-Tied Solar or Off-Grid Solar. Understanding the differences as well as the pros and cons of both can be very beneficial in helping you decide what’s best for you and your energy needs. 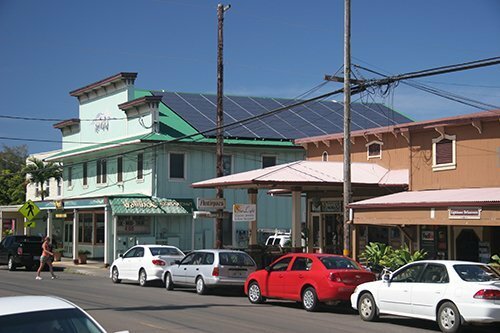 Our Big Island Solar experts understand that those just starting out in the solar power world may feel a little overwhelmed. Should you have any questions or concerns please feel free to give us a call or fill out one of our contact forms. With a return of 8-15%, solar energy provides a long term cost effective solution that also promotes clean energy. Grid-Tied solar energy generates energy from the sun and stores it in the utility grid where it can then be accessed and used at any time. In fact if you want to get the most value out of your solar investment, grid-tied solar solar power is definitely the way to go. Not only does it offer the lowest upfront cost it also offers the shortest period of return on investment. Another great feature of grid-tied solar is that the energy stored during peak hours does not go to waste! Instead it is stored for you in the utility grid and can be utilized when you need it most. In many cases if there is an excessive amount of power left you may sell the unused power back to the utility company, which helps to stretch the value of your investment even further! What exactly is needed in terms of material to establish a grid-tied solar energy system? What is needed to establish a grid-tied solar energy system? Grid-Tied solar energy generates energy from the sun and stores it in the utility grid where it can then be accessed and used at any time. Solar Modules- The solar panels you choose are perhaps the most important aspect of your grid-tied system. Solar panels generate DC or Direct Current power. This power is then converted into AC or Alternating Current power which your household appliances and such use to operate and run. Solar panels are rated in terms of power output, which is measured in watts. More efficient solar panels tend to have a higher cost associated with them, but also take up the least amount of space. The panels you choose are based on what will work best for your individual needs and the space you have available. Inverter- The inverter is perhaps the next most important material you choose. This is used to convert the DC power generated by your solar panels into the AC power your appliances utilize to run. Racking System- The racking system associated with your grid-tied solar energy system holds the entire system in place and helps protect all components associated with it. Along with the racking system you can choose either: Roof Mounts- utilizes your roof’s structure as its foundation of support. This in turn makes roof mounts more cost friendly. Or Ground Mounts- these mounts tend to be a bit more versatile and enable you to build them anywhere on your property. In turn this allows the owner to optimally position the panels so that they are in the direct line of sun initiating the capture of peak output of sunlight. Understanding the different types of solar energy systems that are available to you is half the battle.